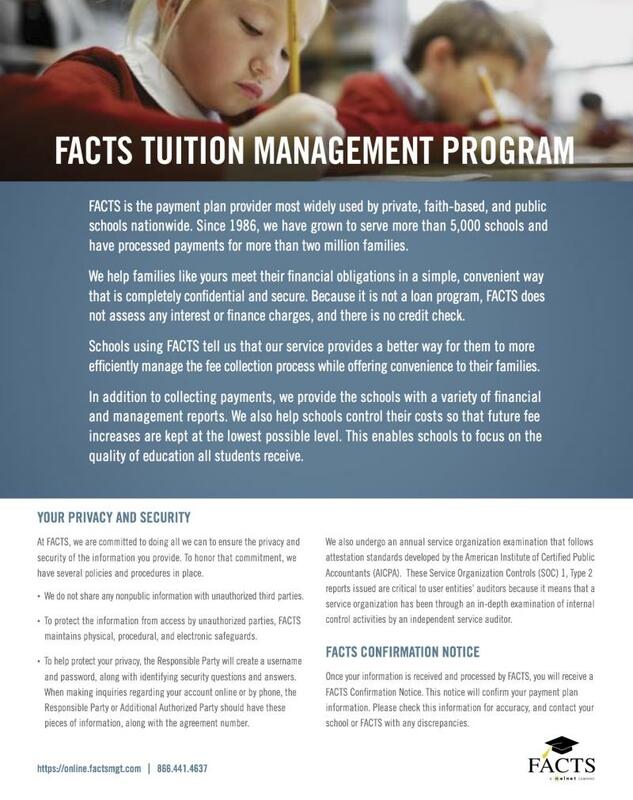 FOR ALL NEW FAMILIES: Please click the following link to FACTS Tuition, create your new account and choose your tuition plan. 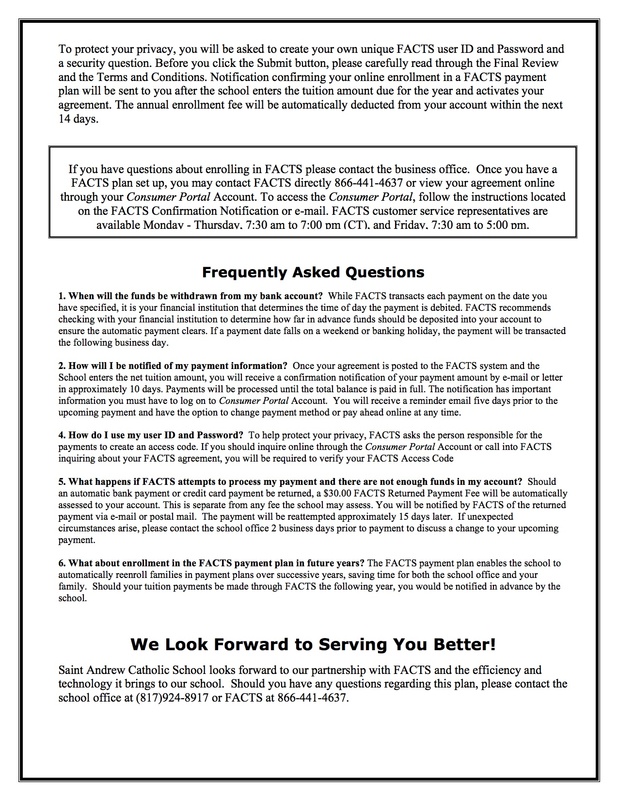 Detailed information on our partnership with FACTS is below. 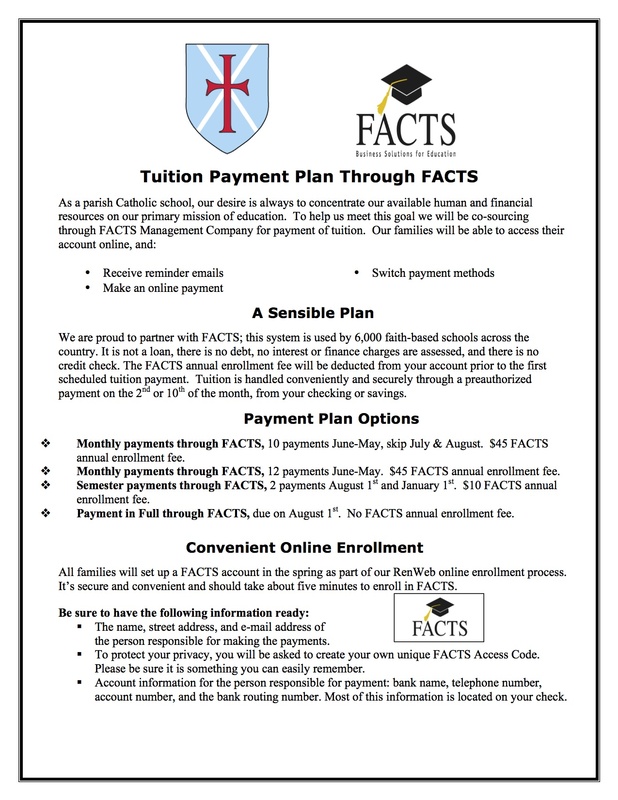 FOR RETURNING CURRENT FAMILIES: FACTS Tuition payment plans (10 months or 12 months) will remain the same as the current school year. The tuition rates for the next school year will be reflected in your first payment for the new school year. 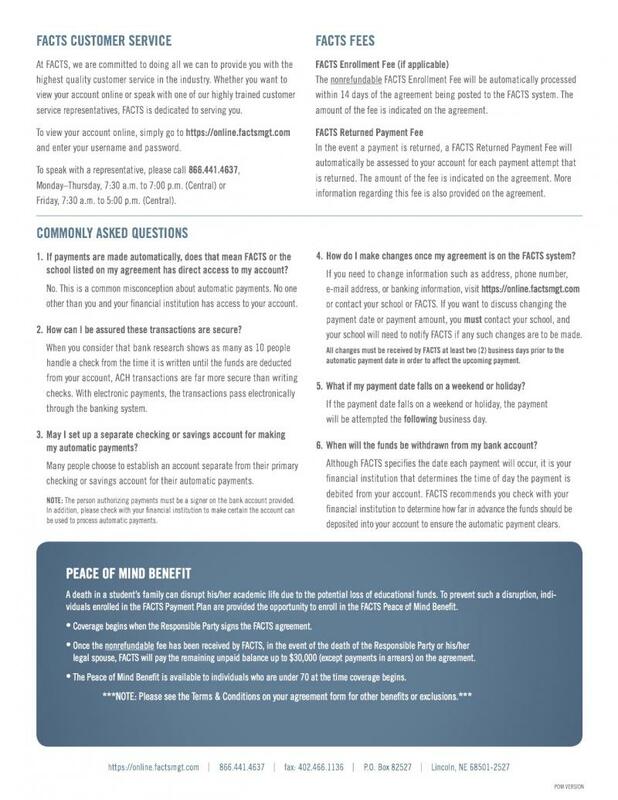 Please contact the school business office if you wish to change your payment plan.